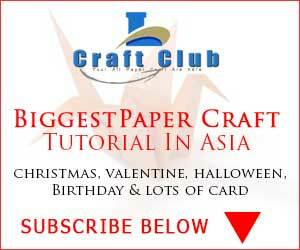 In this Lina’s Craft Club Video Tutorial, you will learn how to make Make Simple & Easy Paper Star. This is the one of the best Paper Star Tutorial. You need to be well attentive when you fold the paper. Make this DIY craft and explore your activity. Decorate you home with this DIY paper star Craft. So, are you guys ready? Without any further knowledge grab your crafting stuff and let’s get started. Note: – You can buy all these products online and at any local art and craft store at very reasonable price.